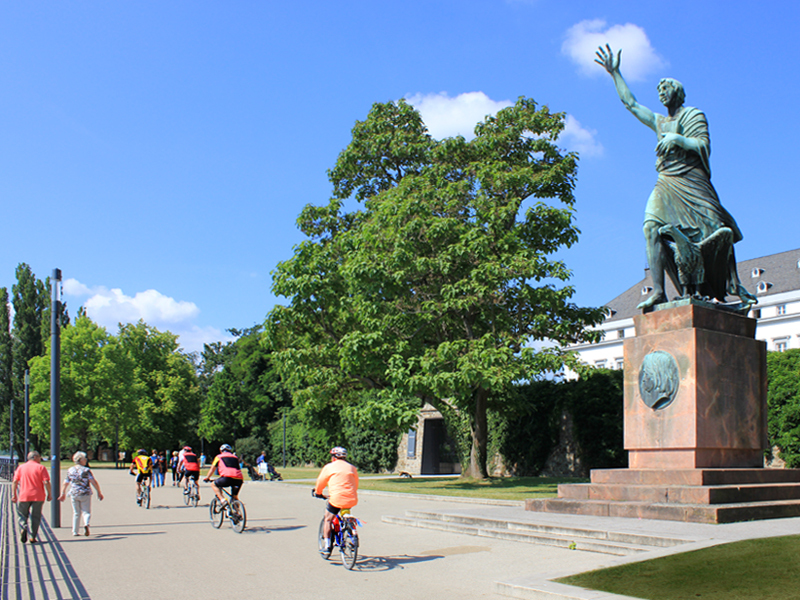 Its unique location on the Rhine and Moselle makes Koblenz an ideal starting point for "heavenly" bicycle tours. 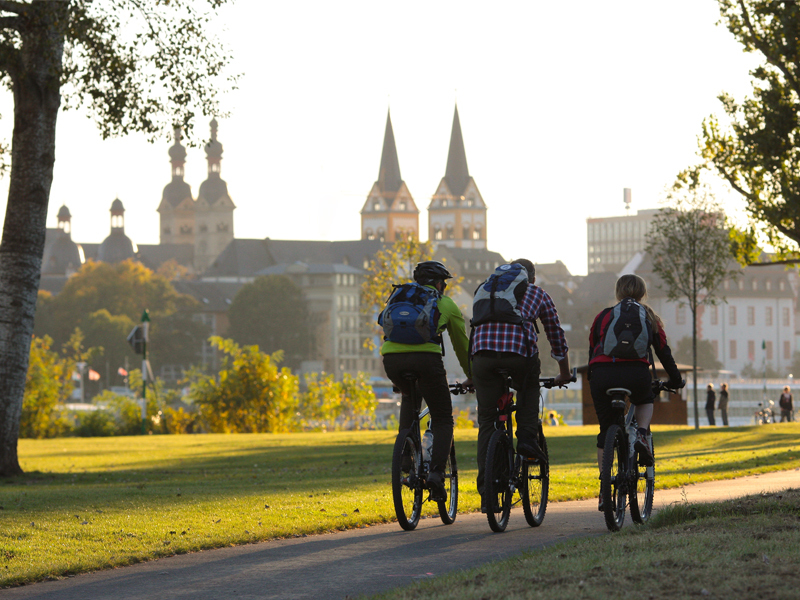 Enjoy the unique landscape and get to know the beauty and variety of the city of Koblenz and its over 2,000 years of history. 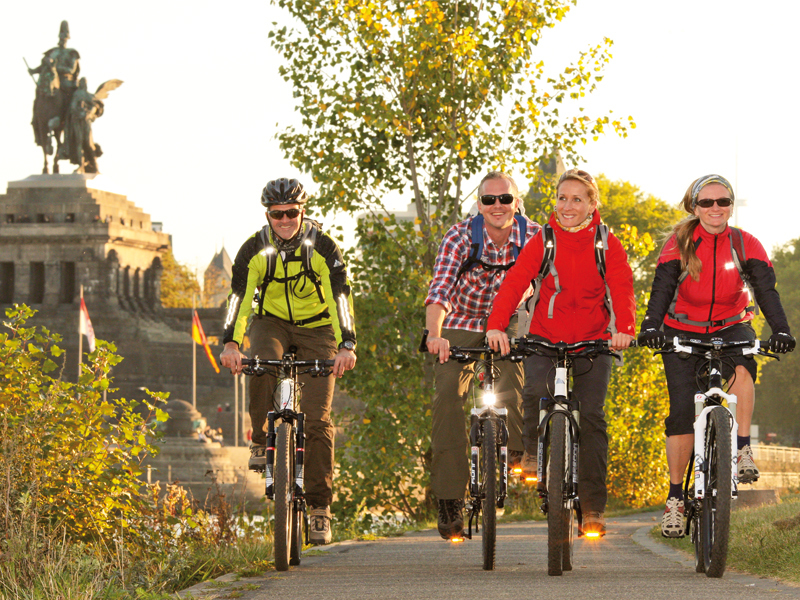 The region has excellently signposted cycle paths along the Rhine, through beautiful winegrowing landscapes along the Rhine (Rheinradweg) and the Moselle (Moselradweg). 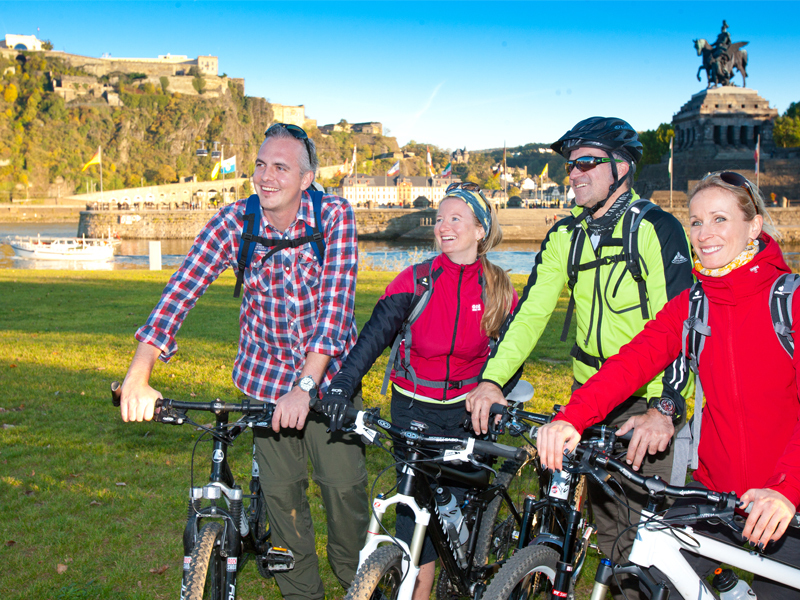 Inns and restaurants invite you to stop in along the way.